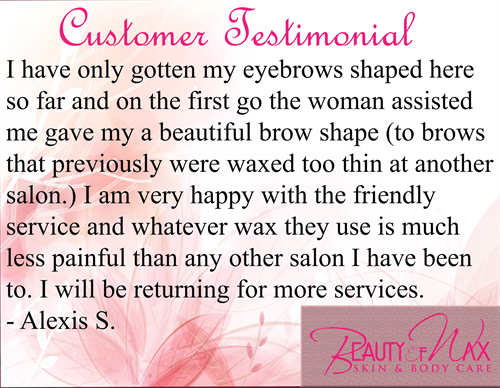 For over 17 years I have successfully treated South Florida men and women of all ages to the best waxing techniques. I dedicate my time providing great customer service and striving for a grand experience for all of my customers. My specialty and true passion is eyebrow shaping and design, I can enhance a person's natural beauty in just a few minutes, and the results are always my customer's delight. My future goals are to always treat my customers with the best service possible, and to strengthen my network of family and friends!